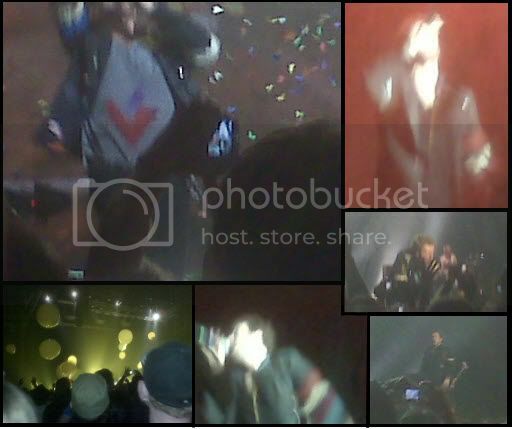 Well, above is a crappy montage from the Coldplay concert last night. It was an AWESOME show though (the show wasn't crap, just my photos): lights, props, music - almost 2 hours of fab! Unfortunately I wasn't in the zone (I've had more fun at other shows... if I had been in the right frame of mind/mood, I am sure I would've been in heaven). As you can see Chris Martin got pretty close to where I was standing at times. Next week I have Kings of Leon - same time and place (Vector).